Standing in a Spanish Doorway: "In Andalusia, on the Trail of Inherited Memories"
"In Andalusia, on the Trail of Inherited Memories"
"ARCOS DE LA FRONTERA, Spain — I still wonder how I ended up living in a former medieval bordello on the brink of a sandstone cliff on the southern frontier of Spain. It was 2008, the start of the Andalusian region’s economic meltdown, La Crisis, and anxiety spread like the Black Plague. But from the roof of my apartment in this ancient white pueblo, I plunged back in time. The other world worried about bills, real estate values, tourism, lost jobs, the immediate future. In contrast, I retreated into my quest, hoping to take new stock of my identity by reclaiming ancestral memories, history and DNA clues that I believe had been faithfully passed down for generations of my family, the Carvajals. They had left Spain centuries ago, during the Inquisition. That much I knew. 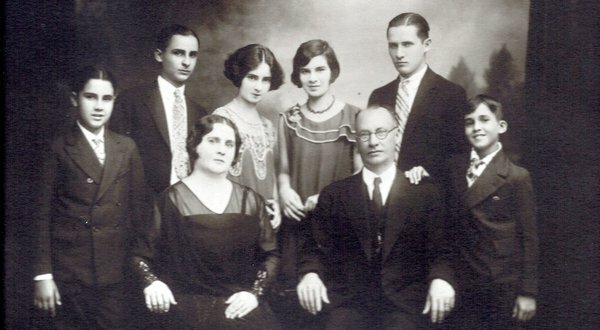 We were raised as Catholics in Costa Rica and California, but late in life I finally started collecting the nagging clues of a very clandestine identity: that we were descendants of secret Sephardic Jews — Christian converts known as conversos, or Anusim (Hebrew for the forced ones) or even Marranos, which in Spanish means swine. I didn’t know if my family had a connection to the white pueblo. But by living in its labyrinth of narrow cobblestone streets, I hoped to understand the fears that shaped the secret lives of my own family. History is a part of daily life in the old quarter, where Inquisition trials were staged and neighbors spied on neighbors, dutifully reporting heretics — Christian converts who were secretly practicing Judaism. The former Jewish quarter, where white houses plunge down a steep, silvery lane, is still standing, though unmarked by any street sign. I wanted to understand why my family guarded secret identities for generations with such inexplicable fear and caution. When my aunt died a few years ago, she left instructions barring a priest from presiding over her funeral; my grandmother did the same." Ladino - "On what a dying language leaves behind"